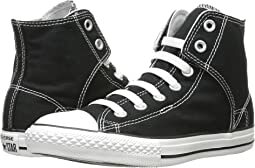 Marquis M. Converse opened the Converse Rubber Shoe Company in Malden, Massachusetts in 1908 and started out with winterized footwear for men, women, and children. 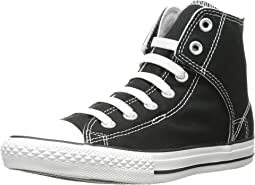 Soon after, a consistent line of sports performance and sport-inspired footwear including canvas shoes for tennis, Chuck Taylor® All Star® basketball shoes and Jack Purcell® shoes were created. Through innovations, leadership and contributions Converse has built a shoe brand around the heritage and soul of American sports in the 20th century. 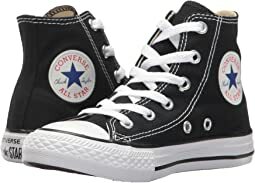 Keeping up with the evolution and popularity of basketball, tennis, football, baseball and track, Converse shoes have become a favorite worldwide. 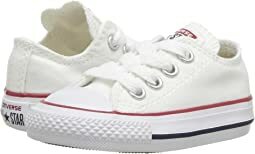 Over the years, Converse has created collections in Sports Performance, Sports Lifestyle and Sports Classics. 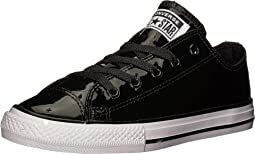 Converse Sports Performance collection began with the love of basketball itself and features the most popular and storied basketball shoes of all time including the Converse Chuck Taylor® All Star® shoe. From sport style to everyday lifestyle, the Converse Sports Lifestyle collection gives originality and self expression to those who wear them. Sports Lifestyle shoes features street-style and casual footwear inspired by court, track and tennis athletic shoes. Converse Sports Classics collection combines creative, original ideas with new materials, colors, prints and special features allowing the world to enjoy updated favorites like the Converse Chuck Taylor® All Star® and the Converse Jack Purcell® . With nearly a century of sports history and footwear innovation, Converse is more than shoes. Its rich history tells a story of American sports and innovators that came together for the love of sports. Until this day, Converse creates footwear that allows us to express who we are. 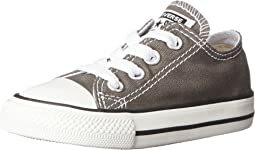 From men’s Converse shoes, women’s Converse shoes, kid’s Converse shoes and Converse Eyewear, they have you covered. 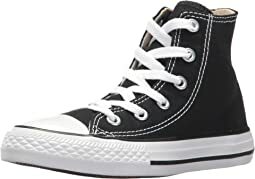 Whether you’re looking for Chuck Taylor® All Star® (Chuck T’s), Jack Purcell® or Converse by John Varvatos, Zappos has it all! 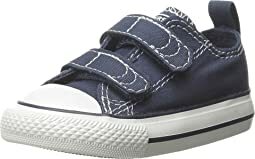 Super cute casual shoe.. my daughter loves them!?? Bought for my granddaughter, she loves them. Cute shoes! Just run big... but she’ll grow into them, so no big deal! These shoes ran SO large. My daughter who can wear anywhere from a 41/2 -5 ended up needing a size 2 in this shoe! This was a gift for my niece's little girls first birthday. She loved them. Hopefully I'll get to see them on her soon. Such adorable shoes!!! But beware they run huge!!!! My son is usually size 7 and I had to reorder a size 6. I’m keeping the 7 cause eventually he’ll grow into them and they’re a super cute closet staple. But def size down a full size! 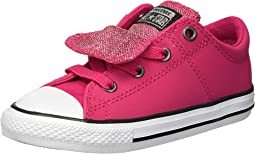 These shoes look super cute for my three year old. The fit definitely runs almost a full size larger so I had to return and go down to the next size. 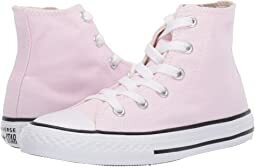 These fit like the normal converse style and are very cute! These shoes were much smaller than the normal converse style. They were also quite frumpy and cheap looking. I thought they would be easy for my daughter to get on as she still struggles to tie, but these were a challenge. They were returned. Would not recommend. 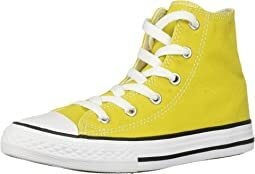 As for most converse, these run a bit big, but they're snazzy, comfortable, and easy to get on and off. Great shoes for a 2 year old! Bought these for my one year old son and they are just perfect. Fit well and they are so cute on. Love them! 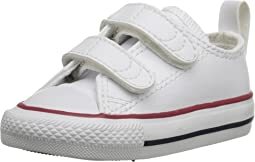 Since the 80’s Converse have been around reason why i al saying that is because i was born in 79 and had them sneakers low top red with white and black and white etc... so since my feet are small skinny, since youth size fit me perfect and have no problems with them. You can definitely order a size down for your like one. I ordered my daughters normal size and they were flopping off her feet, they looked like clown shoes on her lol. Hard to beat a classic! The size is great! I am a woman's size 5, so in kid's size I'm a size 3 and I was scared that it'd be too tight, but there was half an inch of space for my toes. Overall, size is a great fit and it came just like how it shows in the picture. Love these shoes for my little 10mo. old! We get compliments every time she wears them. Great shoes! Good material and style! Shoes were perfect for a wedding as the ring bearer wearing the navy shoes to match his suspenders and bow tie..